UPDATE 2014/01/19: I've been using these headphones for nearly a year and a half now. They work every bit as well as they did the day I bought them. In fact, they work better now. I originally had an issue with the sound going bad that required restarting the head phones. After upgrading to a new computer with a fresh install of Windows, I no longer encounter that problem. These things have been great. 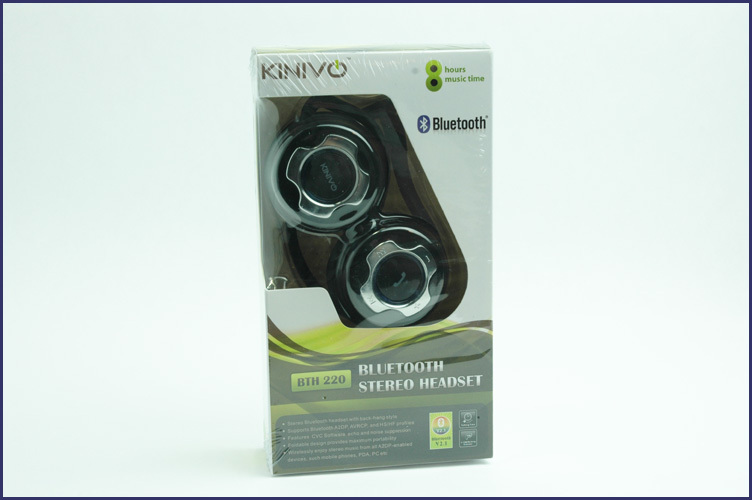 While looking for inexpensive wireless headphones that I could use for listening to music and podcasts at work, I stumbled upon the Kinivo BTH220 Bluetooth Stereo Headphones. An unknown manufacture and a relatively low price didn’t keep me from ordering a pair and I’ve been using them for almost a month now. Let’s check ‘em out. Day to day life in a cubicle is a shared experience. Just about everything that goes on in your cube is shared with your neighbors. They can hear every mouse click, phone call, enervated sigh, and more. Sometimes it’s nice to tune out a little by listening to music, a podcast, or even an audio book. A simple thing like ear buds or headphones might slow the descent into madness, or outright save your sanity and the sanity of your neighbors. Some days I'm stuck in my cube for hours on end. Other days I need to move all over the area. Ear buds are fine when you're tethered to your desk, but just having to slide down to the end requires removing them and pausing playback. Wireless is the way to go. A wireless technology that I could get twenty feet away and still be connected to whatever device that is streaming music or a podcast would be ideal. 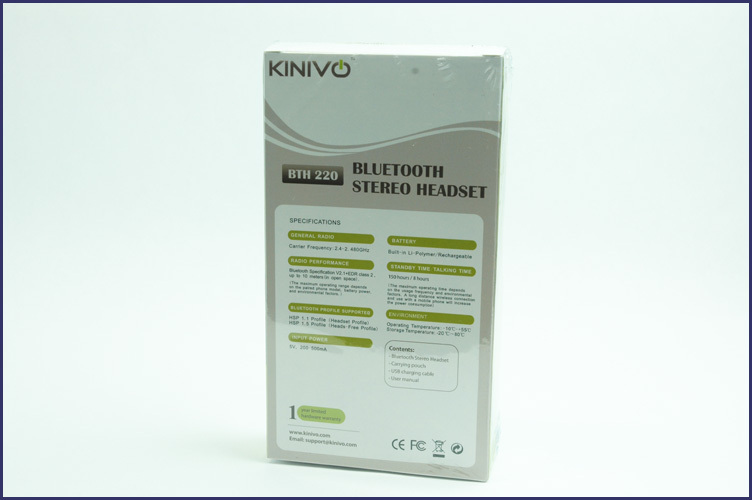 After a cursory look at the online reviews, the Kinivo BTH220s appeared to be a possible solution. The BTH220s come in ordinary packaging that’s reminiscent of the electronics you might encounter at a Target store. Inside the box are the headphones, a black drawstring pouch, a USB Type A to mini USB-B cable, and a small user manual. Out of the box the headphones look and feel cheap. The buttons on the right side rattle with a slight shake of the head and the band that goes around the back of the head feels like it’s going to break when you unfold them. The whole thing has a cheap plastic feel to it. Getting the BTH220s up and running was simple. They easily paired to a desktop PC running Windows 7 and sporting an IOGear GBU421 Bluetooth dongle. Pause, volume, and track controls, work as expected with Media Player. I was able to pair the headphones to a MacBook Air running Mountain Lion and my Galaxy Nexus with similar ease. The controls work well with iTunes and the few Android apps I use although iTunes seems a little sluggish to button presses when compared to Windows Media Player and the Android players. The headphones are fairly comfortable for extended use. After a few hours I start to get a little discomfort on the high spots of my ears that touch the pads, but my ears are far from an average shape. If I can wear these for hours on end, I imagine others will find them very comfortable. For those that buy headphones at this price point, myself included, the sound quality is really good. Bluetooth audio is not known for great sound quality, but these things do a good job for what they are. Occasionally the sound quality will go bad with lots of dropouts and digital noise. Shutting down the headphones and reconnecting them has fixed the problem for me every time. I’ve never used the BTH220s to make calls when connected to a cell phone and cannot comment on that feature. Battery life seems to meet or exceed the manufactures claims. I’ve used the BTH220s for at least 8 hours straight without a hint of a low battery. I typically plug them in overnight, but I’ve forgotten from time to time and used them for several hours the next day before running into battery life issues. Overall, the BTH220s are working great for me with very few gripes. 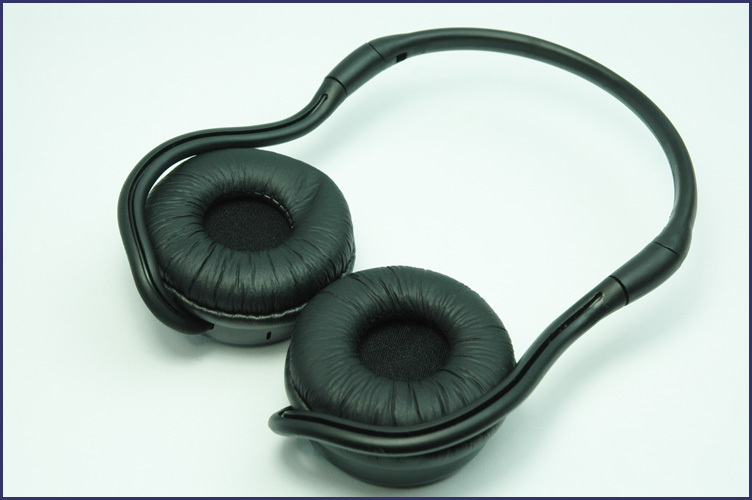 They sound good, they’re comfortable, easy to use, and inexpensive. That’s essentially everything I was looking to get out of a pair of cheap wireless headphones. I can easily recommend these with the caveat that these are pretty cheap devices and that although I’ve been using, and loving, mine for almost a month now I don’t have any idea how long they’re going to hold up. I can also see that it might be much more likely to get a bad pair out of the box than say something like an iPhone. 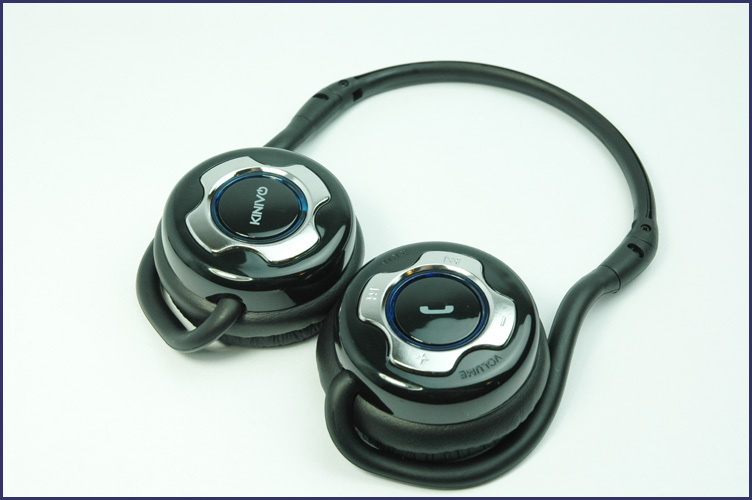 Speculation on longevity and quality control aside, from my point of view the Kinivo BTH220 Bluetooth Headphones are essential. Dollar for dollar they offer a great deal of value. Thank you you Jeff for such a great review!! I just ordered a pair from newegg.com. Thanks Robert. Let us know how these are working for you. 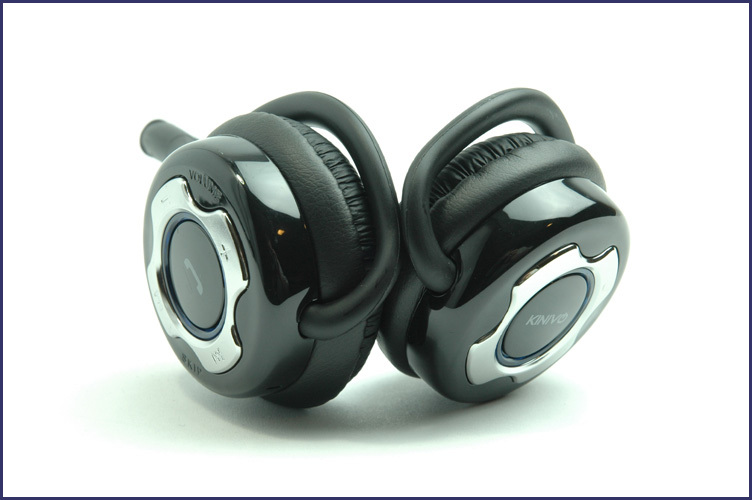 While listening to louder music with the BTH220, can the people around you hear the music. 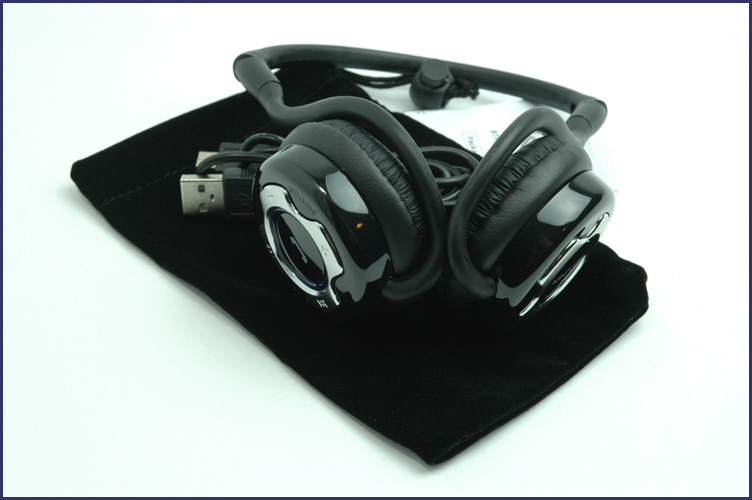 can I pair BTH220 headphone with another one to make conference? Somewhere between the Bluetooth driver on Windows 7 and this product there are problems. Sometimes the headphones work, sometimes they don't. Sometimes I can use the mic in Skype, sometimes I can't. Haven't had any real problems with them on my phone, so I assume it's a driver issue. Very annoying. Hi, I have these, but when the sound quality gets bad, disconnecting and reconnecting doesn't fix it for me, but over time they will bet better, this really frustrates me. Also sometimes my computer doesn't see them as an audio device and doesn't play anything through it, it all plays through the speakers. I'm using Windows 8, but I don't think that matters. If you can help please e-mail me at daviddragonstar135@gmail.com thanks! I can't provide tech support for these headphones. I recommend you contact the manufacturer or see if they have a support forum. However, I can tell you I've used mine, virtually error free, with Windows 7, Windows 8, and Windows 8.1. I currently use them with Windows 8.1 almost every day without issue. I agree that it's probably not Windows 8 in general. Check the Bluetooth module or try a different Bluetooth module or device. Do they work with your smartphone? If yes, it might not be the headphones. I have two pairs of these, purchased when they were first released. They work flawless with newer Android devices, nearly seamless. It's still bluetooth so it picks up a lot of outside audio during calls. However, music is excellent. Though when trying to use with my newer Windows 8.1 machine it never works. I can't even connect the two devices. When my PC was 8.0 it worked OK, but would always disconnect and would never appear in my device list. Troublesome to say the least and now that I really need these to work for a conference call they won't even pair. ARGH! Got the best sound results for me which I was looking for almost a decade and believe me I am not disappointed a bit! Great Work! Five Stars! Recommended to everyone modern turntables!